David Read, Prestige chief executive, told the Daily Telegraph that food prices could rise by as much as 6 per cent next year, but at the very least were likely to jump by another 3.8 per cent. He said Britain was in a new era where food prices would continue to soar because of growing global demand and the effects of climate change on harvest and higher commodity costs. In a free economy, prices are determined by demand and supply. 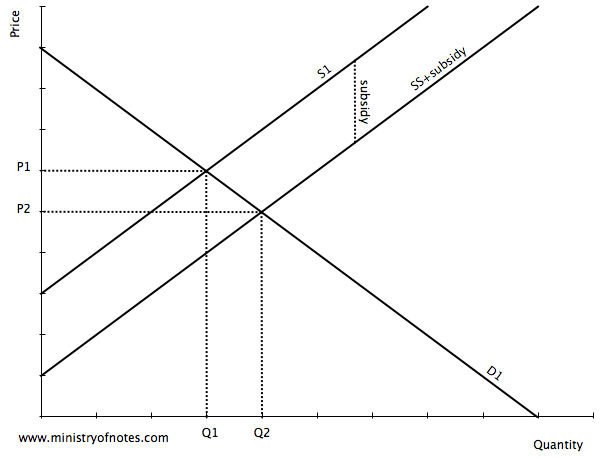 In particular, in equilibrium, demand and supply are equal and there is no tendency for prices to change. According to the extract, there are a few reasons why food prices are rising: increase in global demand, climate change leading to lower supply, and increasing costs of production. 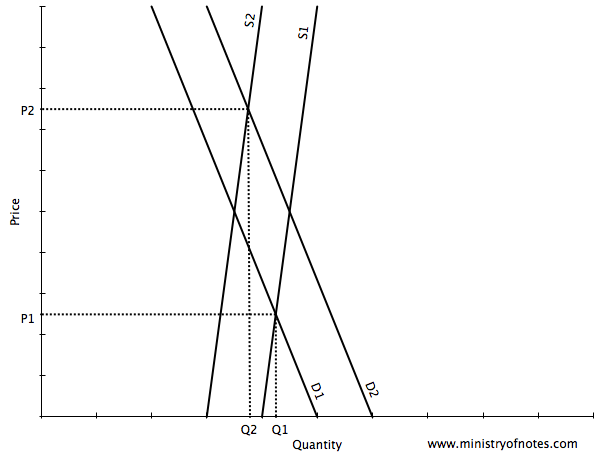 The extent of the change in price can is determined by how much demand and supply have changed and the price elasticity of demand and supply. Rising global demand has been fuelled by a growing world population, which leads to more mouths to feed on the planet. At the same time, rising affluence in many countries have led to an increase in the demand for the quantity and quality of food. This shifts the demand curve to the right. On the supply side, climate change has made harvest more unpredictable and harder for farmers to plan production. Droughts and adverse weather conditions would lead to a fall in harvests and supply. The costs of production for farmers have also been rising, such as the price of water, seeds, electricity, and machinery. This has also led to a fall in supply of food. The demand for food is extremely price inelastic, as it is a widely defined essential good with no substitutes. The supply of food is also price inelastic, as harvests are usually grown a year in advance and farmers cannot easily vary their output in the short run. As a result, food supply is usually fixed in any relevant short time frame. As food is essential to human survival and the proportion of income spent on food is higher for those in lower income groups, there might be case for the government to intervene in the food market for reasons of equity. However, there is also the case for the government to not intervene, as the free market itself is an efficient mechanism of allocating resources, and government intervention may introduce harmful distortions into the market. thesis The thesis is that the goverment ought to intervene in the food market to ensure equitable prices so that there will be a fair distribution of food. The high increase in food prices has a bigger impact on lower income households, as they spend a larger proportion of their income on food. As prices of food rise, they end up spending more on food as their demand is price inelastic, which leads them to sacrifice other forms of expenditure. When this leads to hardship and a loss of opportunites (economic, education, etc), the resulting inequality should be something the government ought to be concerned about. The government can intervene in the food market by providing subsidies to food producers, giving food coupons to the poor, or by setting a price ceiling for essential food items. A government may also impose a price ceiling, such as Malaysia's price ceiling for sugar. To be binding, this is set below the equilibrium price. For instance, while subsidies would benefit households and poorer households more in particular, subsidies might encourage inefficiencies in food producers and would contribute a large budgetary burden on the government. This would lead to increased taxes eventually. In the long run, food subsidies are also difficult to take away once they are in place. A price ceiling does not rely on the market mechanism, and is likely to cause even distortions to the market. There is no guarantee that a lower price ceiling will ensure that low income households will have access to food, as there will be a perpetual shortage due to the excess demand created by the artifical low price. This implies that the government may have to set up a costly rationing system. In a free economy, the price mechanism works well in allocating resources to those who want them the most. In the equilibrium, both consumer and producer surplus are maximised. In times of shortages, it is likely to be the fastest mechanism to signal to producers to supply more. conclusion In conclusion, the free market generally results in a efficient allocation of resources. However, there is scope for the government to intervene, especially during situations where there is a great danger that food becomes unaffordable to the poor. However the government should be mindful of the potential distortions its interventions might create, and whether a government decides to intervene or not would depend on how it can also mitigate the problems of intervention.